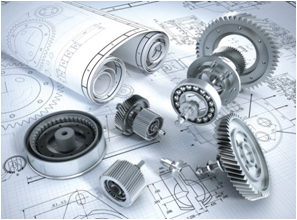 Right Step Consulting has a qualified pool of pre screened candidates in the Engineering domain. They are well versed with different software applications across wide variety of sectors - including Pro E, Auto CAD, Microstation, PDS, PDMS, Architectural Drawings and other skills associated with Mechanical engineering, Architectural Engineering, Structural engineering and Civil Engineering that can be performed from remote. India has a very high 40% share in globally offshorable Engineering R&D services of both traditional verticals (Aerospace, Automotive, Telecom, Semiconductors, Consumer Electronics and Construction/Heavy Machinery) and emerging verticals (Computing Systems, Energy, Infrastructure, Industrial Automation and Medical Devices). The large pool or qualified and yet low cost Engineering R&D professionals has a bright future as the growing confidence among global customers in India’s supply base capabilities increases.